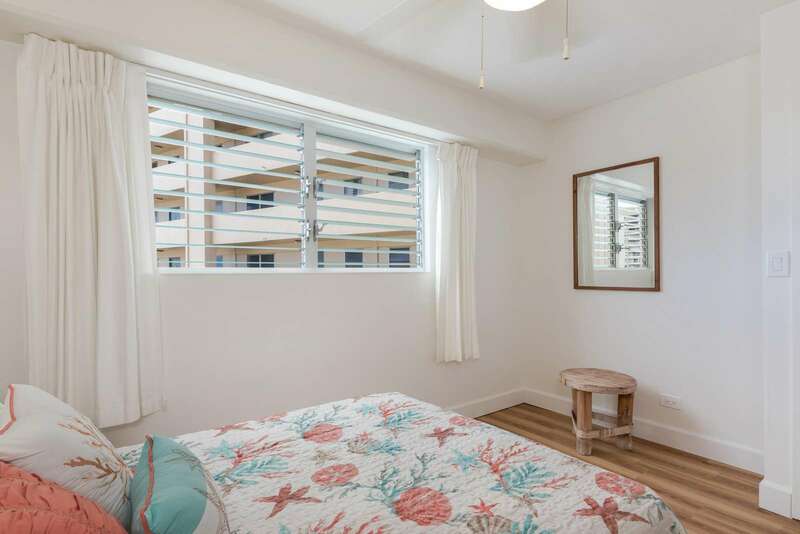 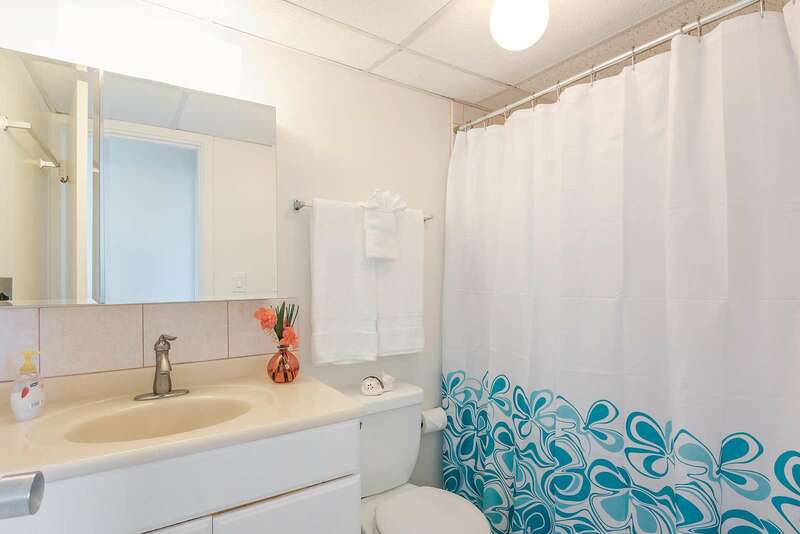 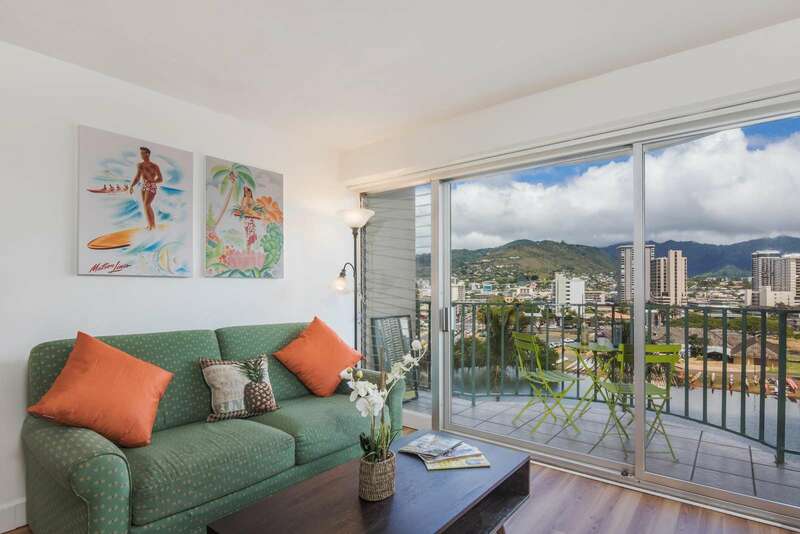 2 bdrm with gorgeous canal view in Waikiki!! 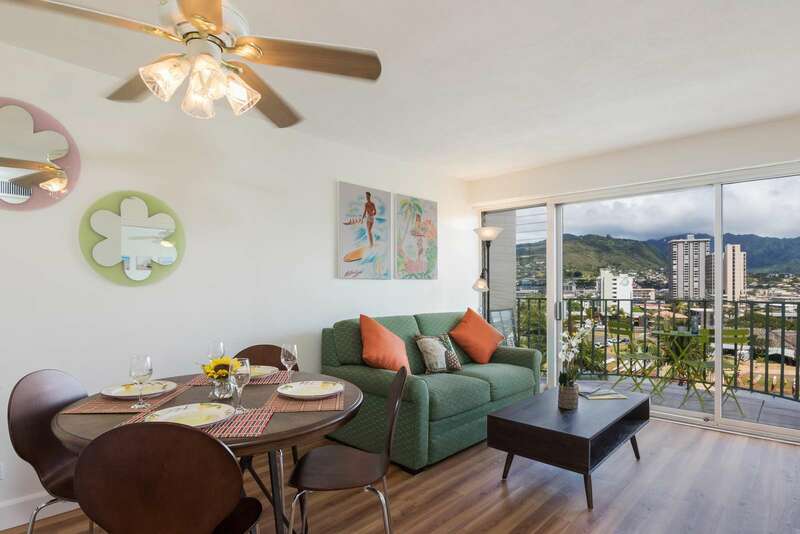 Enjoy the beautiful mountain and canal views through floor-to-ceiling windows. 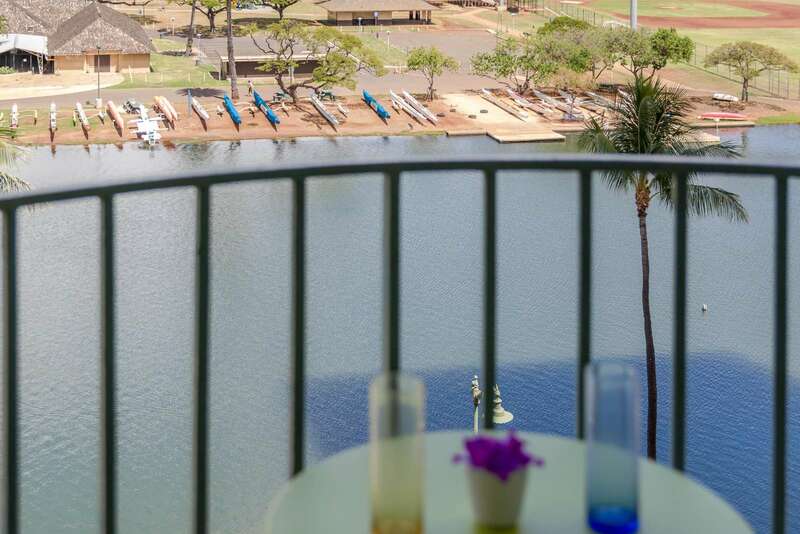 Watch the paddlers as you enjoy coffee from your private lanai. 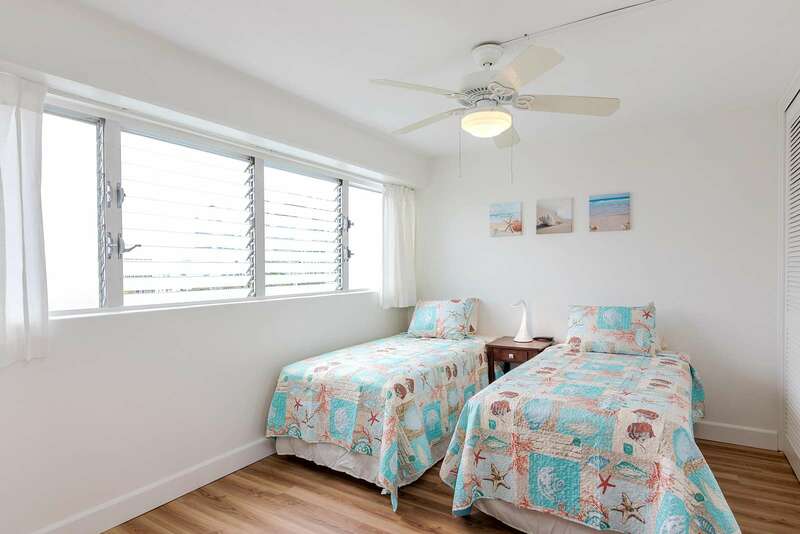 Near the beautiful white sandy beaches, shopping, restaurants and exciting night life! 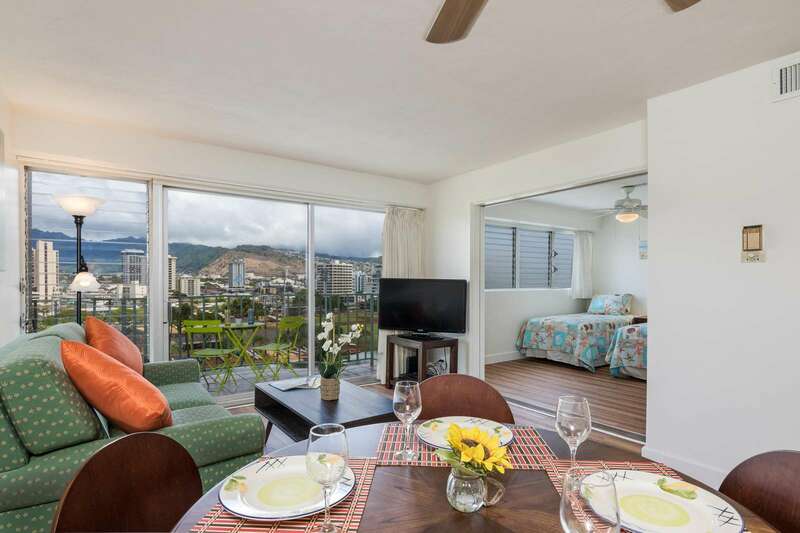 Royal Aloha 804. 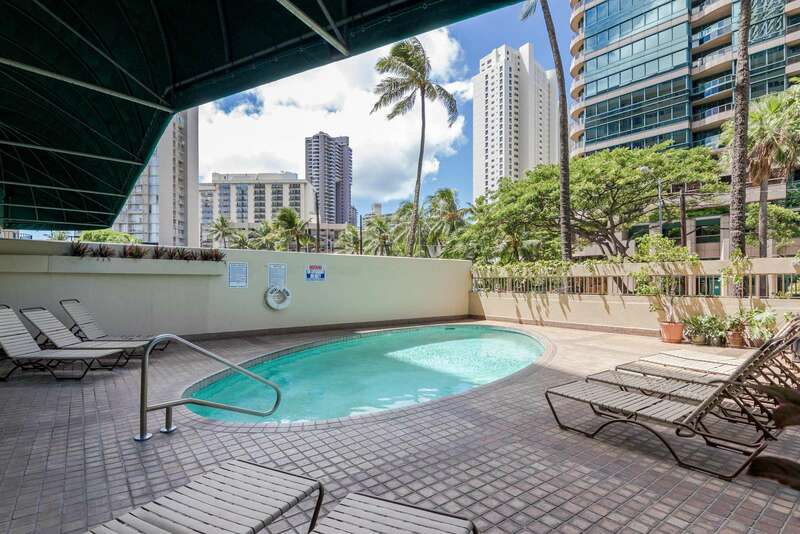 2 Bedroom on the 8th floor - Free Wifi, Cable TV. 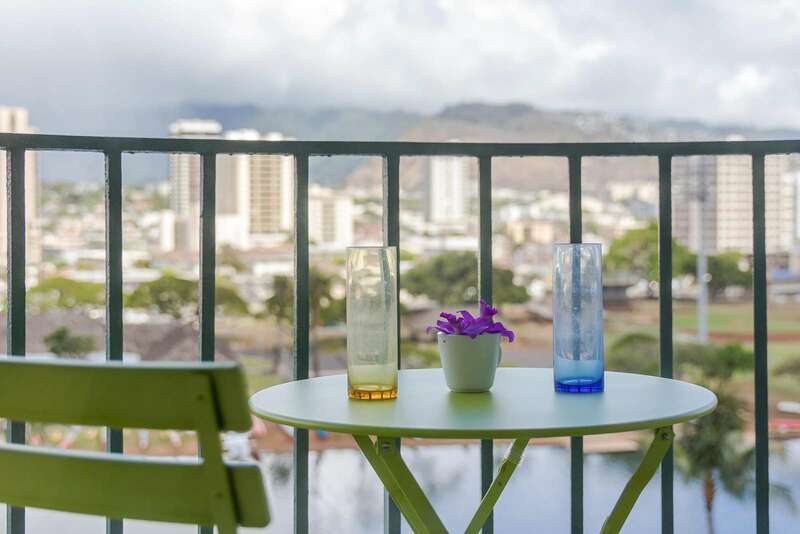 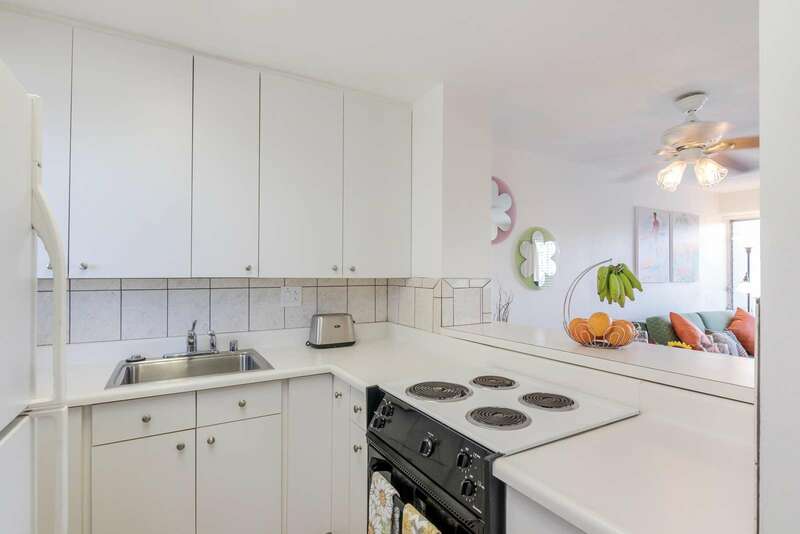 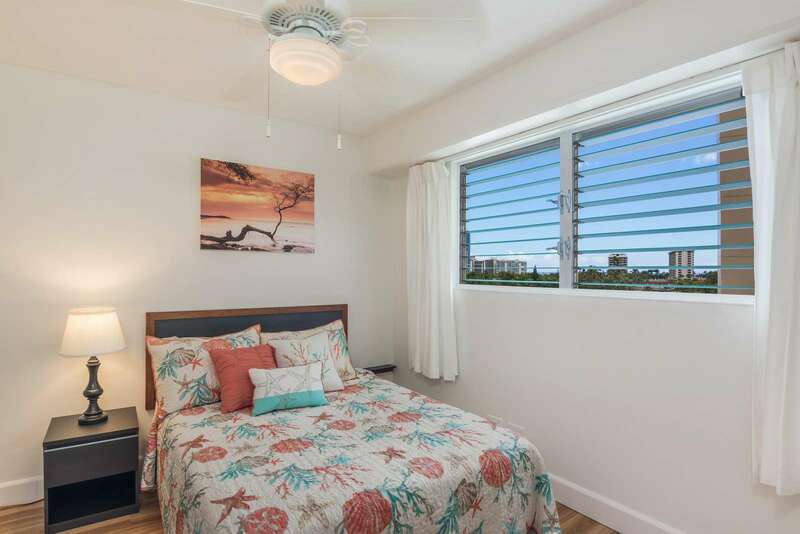 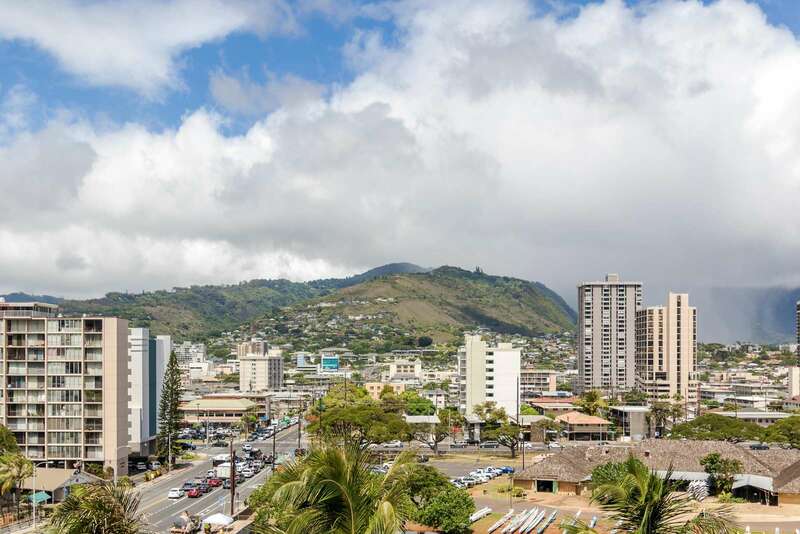 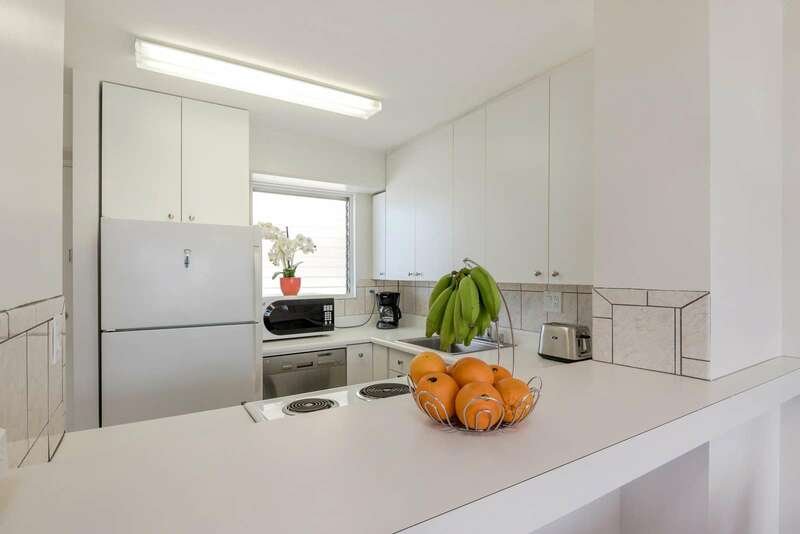 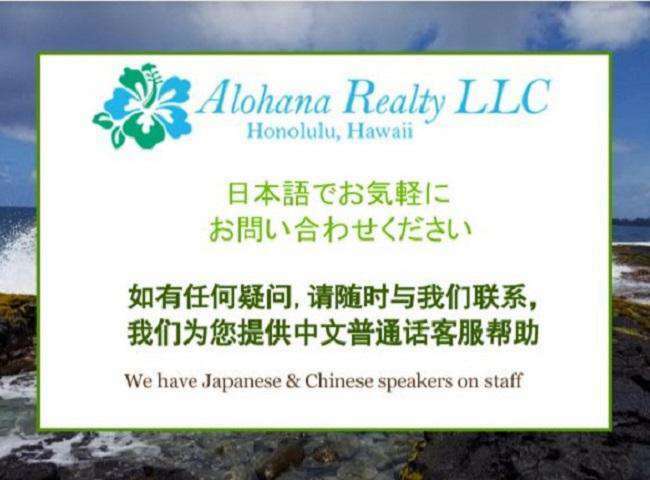 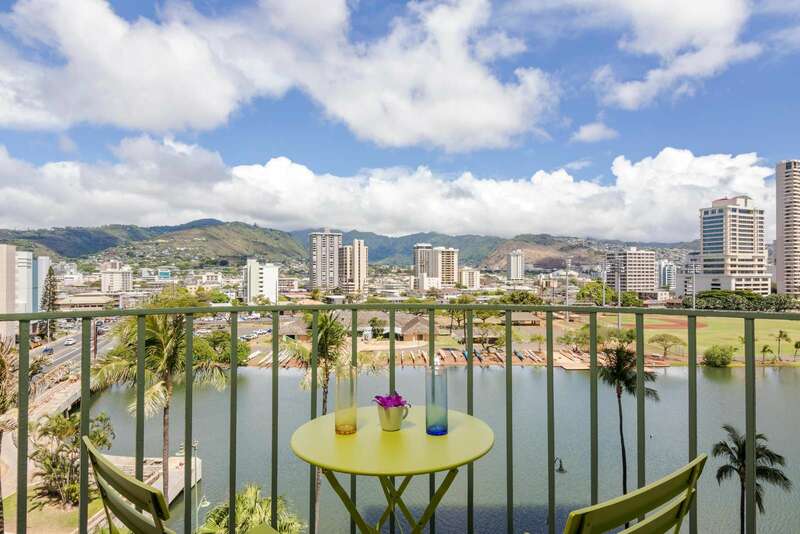 Located on the corner of Ala Wai Blvd and McCully Street, 2 bedroom 1 bath 8th floor condo at Royal Aloha features gorgeous views of the mountains and the canal view. 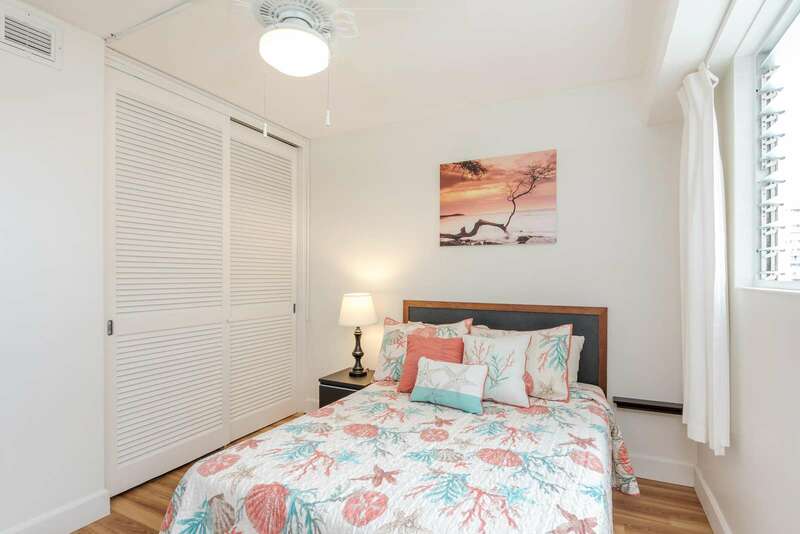 The unit has new floors. 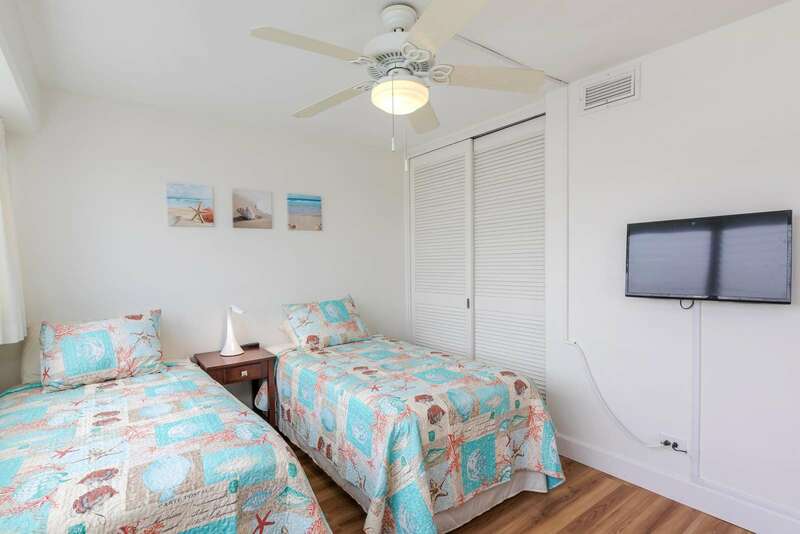 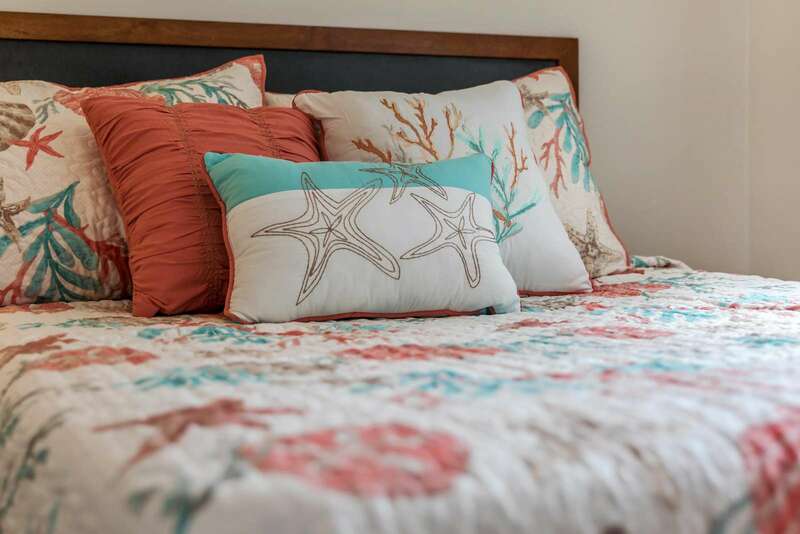 The master bedroom has a Queen size bed and the second bedroom has 2 twin beds. 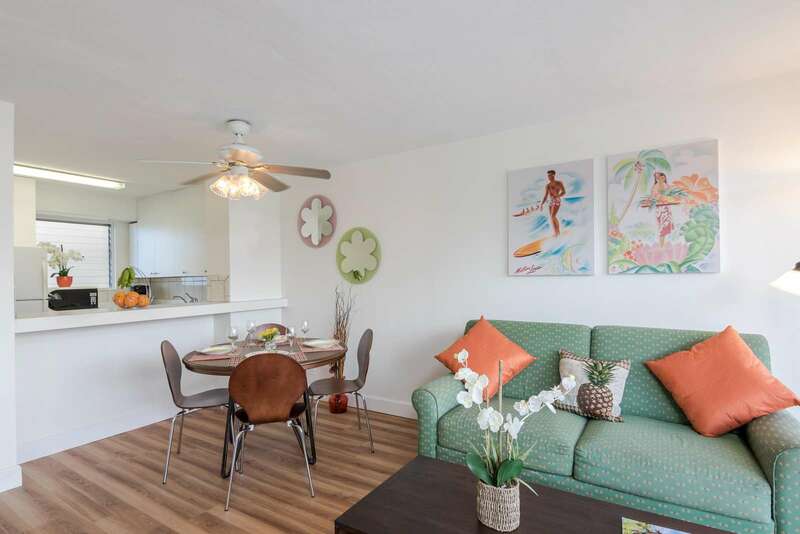 The living room has a full size sleeper sofa with a memory foam mattress. 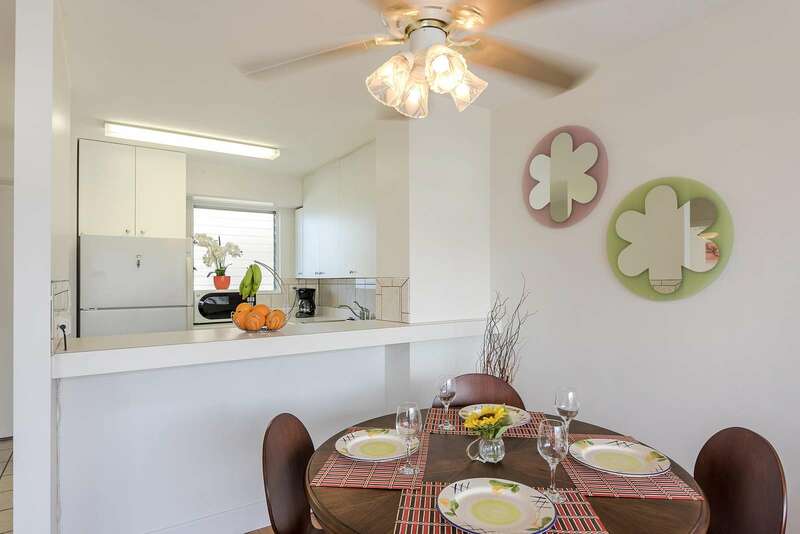 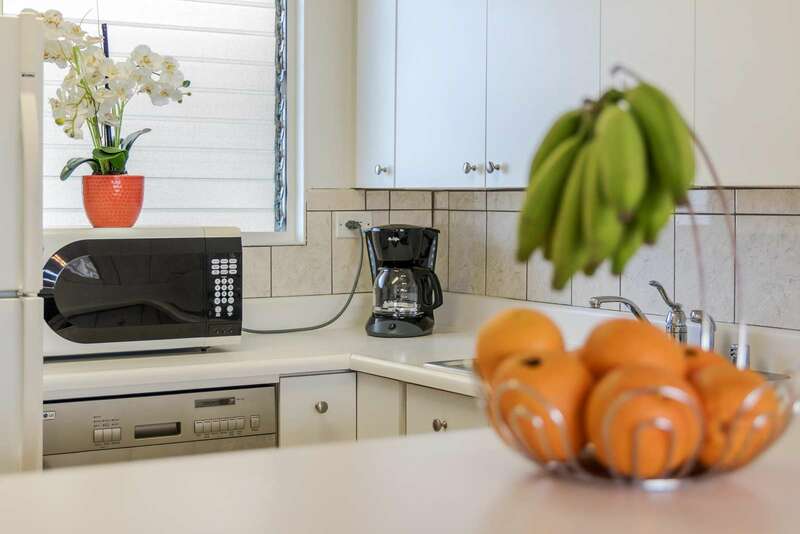 The full size kitchen is equipped with a dishwasher, 4 burner stove with oven refrigerator and a dining table. 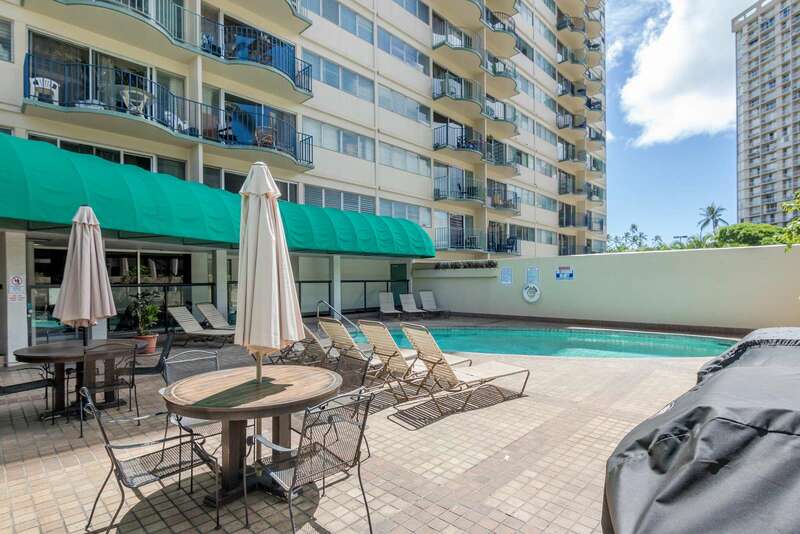 The rental includes high speed internet/WiFi, pool area with charcoal BBQ.